Nue Skin is one of the leaders in Microdermabrasion technology. Our Nue Skin machine uses aluminum oxide crystals to gently abrade the skin’s most superficial layer, encouraging the stimulation and production of new living cells at the skin’s lower level. Stimulation of this lower layer, over the course of about eight weeks, causes faster cell production and replacement, which further encourages vasodilatation, improved cell nutrition, improved skin elasticity and improved skin texture. The result is fresher, healthier skin, as well as the reduction of hyperpigmentation, acne and scarring. Microdermabrasion refers to the non-invasive, non-surgical treatment designed to improve skin texture and tone using mechanical exfoliation. The procedure leaves skin feeling fresh and smooth in addition to stimulating blood circulation and cell regeneration. When troubled by visible signs of aging, microdermabrasion corrects imperfections that add years to your complexion. Performed by Dr. Adler, the process acts to buff and remove dry, damaged skin cells. The treatment takes a mere 45 minutes and does not require recovery time. Typically the procedure begins with an application of a skin cleanser to the areas requiring treatment. The cleanser is then rinsed and the skin dried. Microdermabrasion involves using a wand that connects to the dermabrasion machine. The wand simultaneously buffs the skin to loosen dead skin cells while a light suction extracts the debris from the skin surface. The procedure does not cause discomfort. During treatment, Dr. Adler moves the wand up, down and sideways across the skin. This action may be repeated multiple times depending on the type of problem needing treatment. Following treatment, Dr. Adler may use a moist towel to ensure effective debris removal. Treating the entire face averages 30 to 40 minutes. Treating the neck requires an additional 20 minutes. How Do You Care for the Skin Following Treatment? Clients generally receive a skin care plan that includes using a moisturizer and sun protection products. Proper skin care ensures the best results and protects skin from further damage. The amount of time needed to see noticeable results varies from one client to the next and largely depends on the reason for the treatment. Some notice clearer, smoother, softer skin immediately following the first treatment. Others may require multiple treatments before realizing the desired effect. As the aging process continues despite adhering to a good skin care routine, microdermabrasion results typically last a few months. Clients often choose regular follow-up treatments, which ensures that skin continues looking its best. The skin may appear slightly pink or red similar to getting sun or wind burned. This effects lasts anywhere from a few hours to two days. Clients may apply make-up following treatment if desiring to hide the mild irritation. Skin cells may also continue flaking or shedding for the first day. If I need more than one treatment, how soon after the first session can I have another? Microdermabrasion only affects the upper most skin layer. In this way, the skin recovers quickly and may undergo another session in one or two weeks. When performed by a licensed and experienced skin care professional, the procedure is perfectly safe. Anyone over the age of 12 may undergo microdermabrasion as long as the skin is not visibly irritated or has open areas. Individuals suffering from an active case of acne, dermatitis, eczema, rosacea or having visible broken capillaries may require a different course of treatment. Under those circumstances, non-abrasive options include facials, photofacials or IPL therapy. 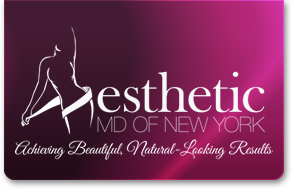 For more information or to schedule a consult, contact our office at (631) 983-6211.